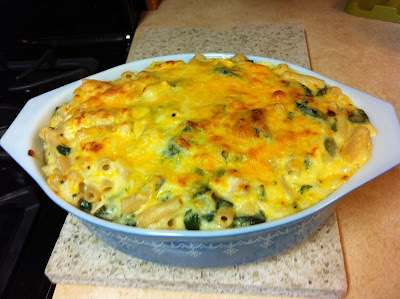 I'm trying more and more to eliminate wheat from my diet. here is my variation on an old favourite. 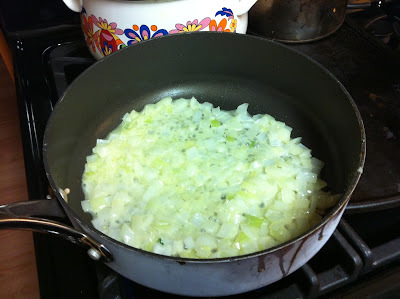 In a large skillet, fry butter and onion for a few minutes until onion is translucent. Add rice flour and mustard powder. 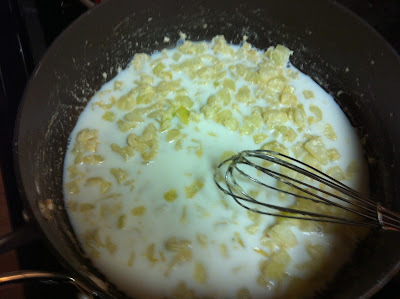 Whisk together - it looks clumpy and sticky. 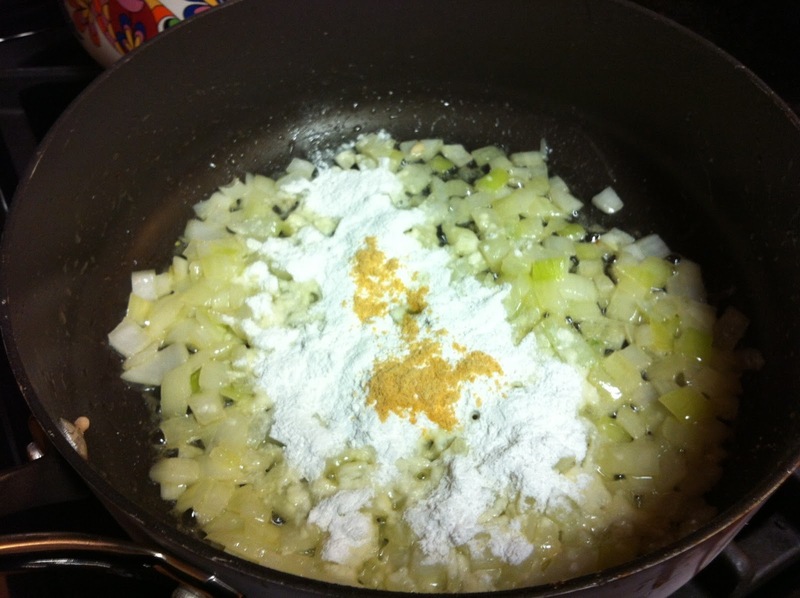 Add about 1/2 cup of the milk and whisk it so that the flour becomes removed from the onions. 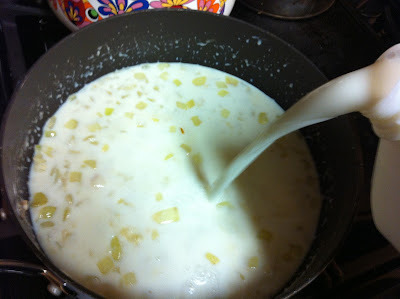 Add the rest of the milk, stirring constantly until mixture comes to a slight simmer. 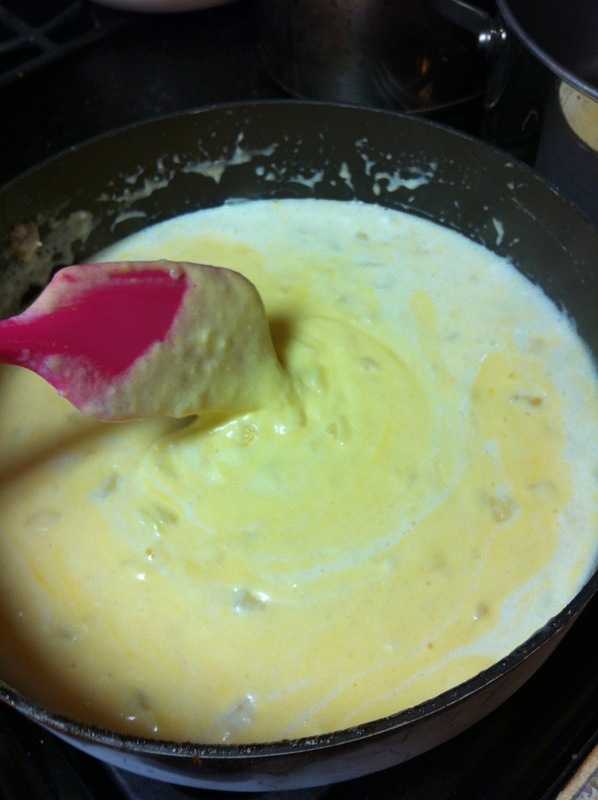 Once the sauce becomes thick and hot, add in 2 cups of the grated cheese and stir in to melt. 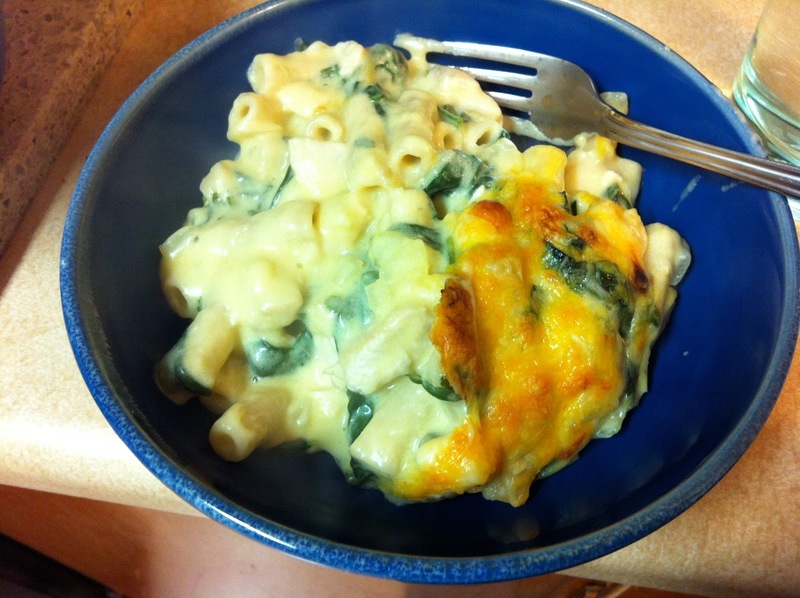 I pre-wilted some spinach and pre-cooked some chicken to add in. 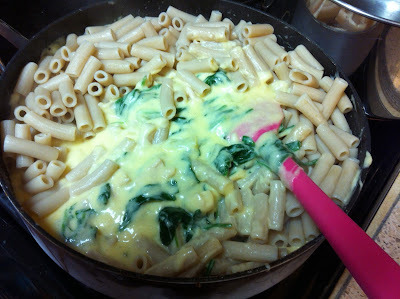 Stir cooked pasta into cheese mixture, adding any of the various extras you wish. 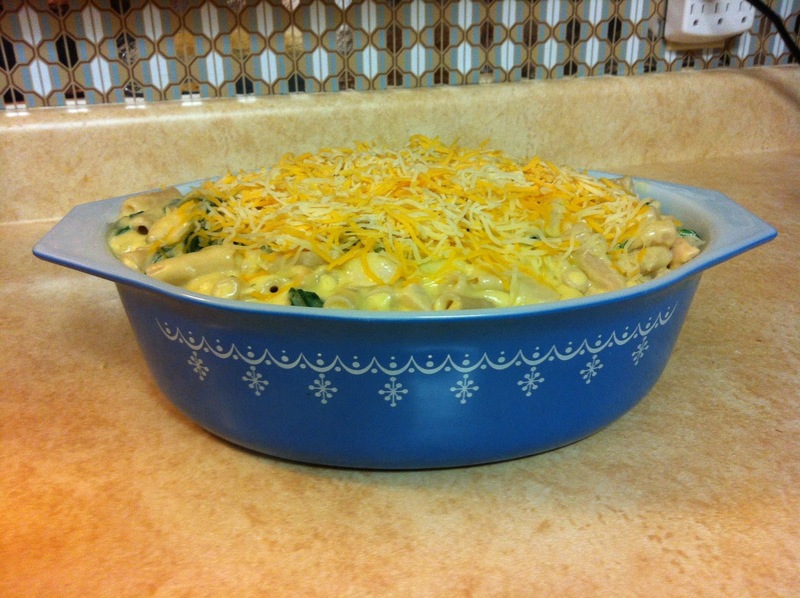 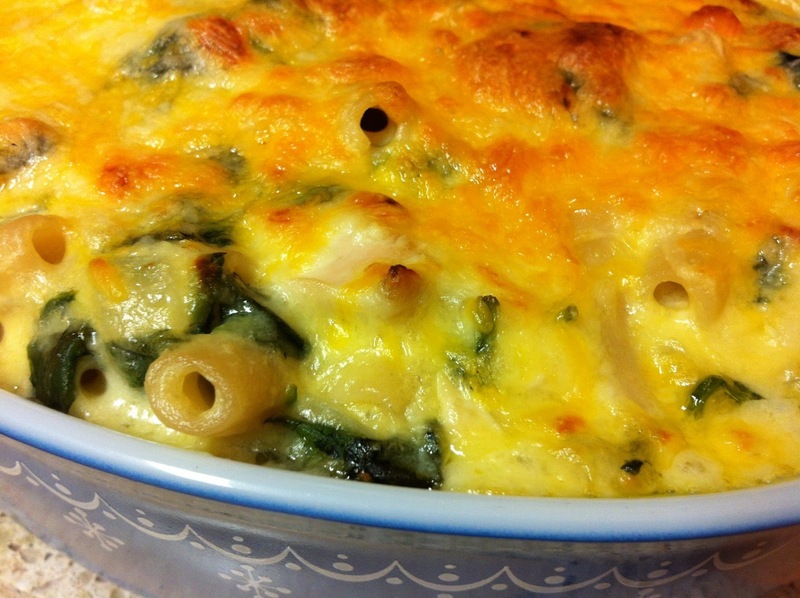 Pour into a large casserole and top with remaining 1 cup of cheese. How yummy does this look?!? 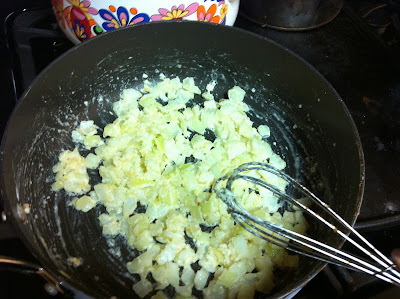 As you can see, the consistency is nice and thick - no soupy saucy mess. Bake for 30 minutes-40 minutes. Broil for 3-4 minutes at the end if you wish to have the cheese topping brown and crispy. 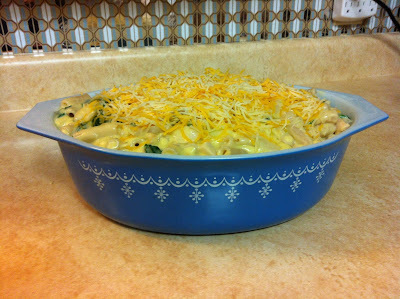 Remove from oven and rest for five minutes before serving. 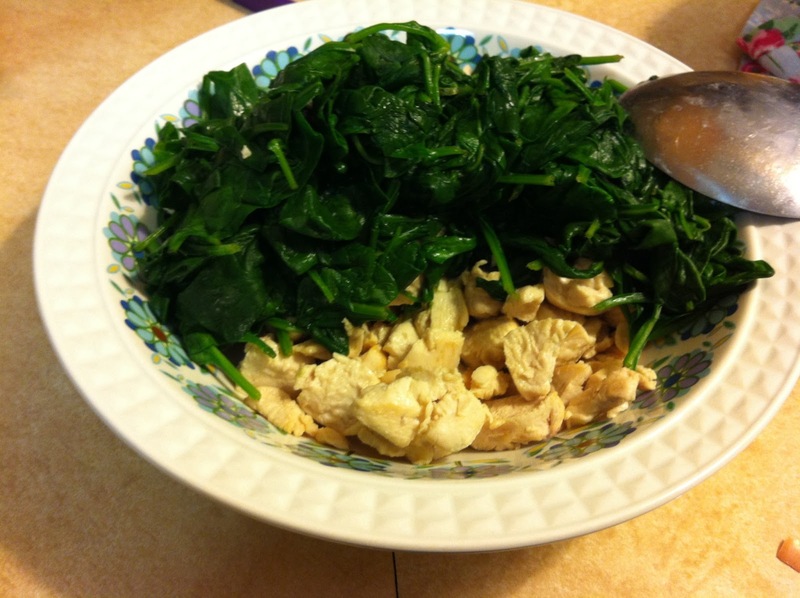 All Four Food Groups: Add in some pre-cooked chicken breast and wilted spinach to cover all four food groups in one dish! Tex-Mex: Add 2 tbsp taco seasoning to the cheese sauce, and then a can of corn and a can of beans into the final mixture.